Manufacturer of a wide range of products which include sports goods threads. Our enterprise is involved in manufacturing and supplying of Sports Goods Threads. 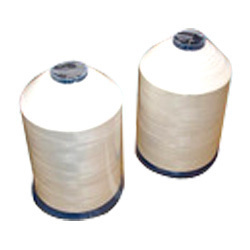 Made of superior grade waxes and other materials, this thread can be used for bonding and stitching of leather made cricket balls, foot balls and cricket bat handle covers. We manufacture our exclusive range strictly on industry defined parameters to ensure high tensile strength and stress resistance. Furthermore, we offer our range in 9 cord, 21 cord, 15 cord and 18 cord types. The product is offered in wide range of customized finishing such as high gloss, dull matt, extra stiff and soft handle surface.